Before I talk about what the title says, I'd just like to mention that contrary to my hypothesis, the crabs did not respond to raw sweet potato all that well... it wasn't eaten... at all. I don't have many crabs that are active right now, but it wasn't eaten at all. I may try steaming one in the future to see if it gets any different results. 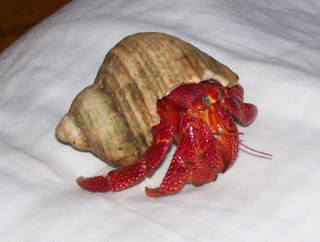 As for the title, there have been a boom in the findings of Coenobita perlatus, or Strawberry hermit crabs lately! They have been appearing all over the place. I would suggest checking your local pet stores (big chains, too). Straws come from the tropical islands around Indonesia and are a protected species in Australia. They are known for their stunning red exoskeleton, but also for not having a great survival rate in captivity. Of course, the looks of these crabs draw every crabber into wanting to obtain one, but you really should make sure you have the right conditions for this land hermit crab before making a purchase. As aforementioned, make sure if you are planning on acquir ing any C. perlata, you have a proper set up. These jewels need to have a strictly high humidity level and temperature and I also recommend UV lighting. 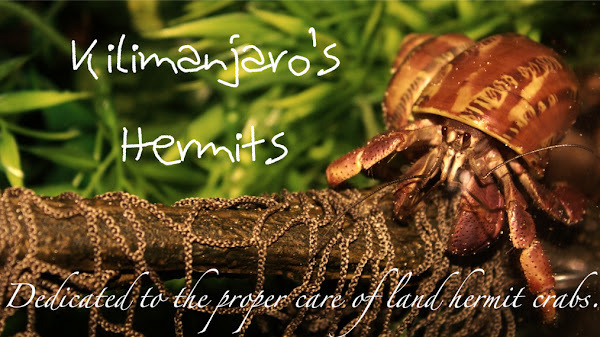 They can be a great addition to any crabitat (especially because they are so active), but often have low survival rates in captivity. They are known for fading into less bright shades of red, too. This can (hopefully) be changed by a diet high in color-enhancing pigments and possibly the additon of UV lighting. To any who venture off to get any Strawberries, good luck! 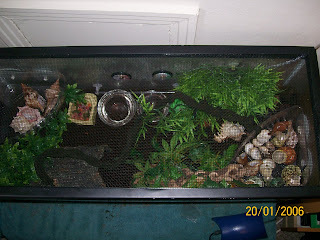 If you are willing to put forth the cash, they are also available at LiveHermitCrabs.com, but I do not recommend purchasing them in the winter, even though they are currently having a sale on Straws.